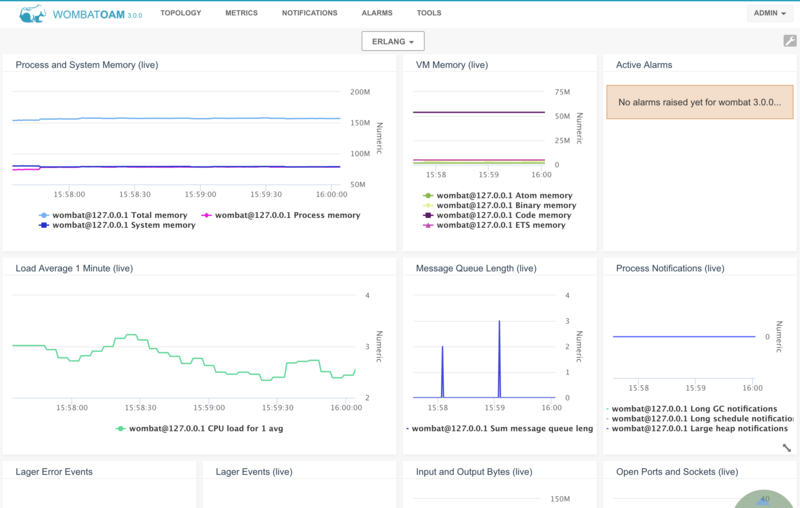 With the release of WombatOAM 3.0.0beta - our operations, monitoring, maintenance, and performance tool for Erlang OTP based systems, I thought it was time to recap how to install WombatOAM. Get a 45 day free trial. If you are installing WombatOAM for the first time, enter 3 at the prompt, skipping the upgrade. The upgrade.sh script will simply build a release and start WombatOAM for you. At the prompt, enter 2 (Other) and follow further prompts to specify the WombatOAM installation to upgrade from and perform the upgrade. The upgrade.sh script will preserve your collected data and custom configuration (in your old rel/wombat/files/wombat.config file). To access the web dashboard, go to http://localhost:8080 in your browser. Log in with the user name admin and password admin. Keep in mind that the upgrade.sh script will start Wombat automatically. 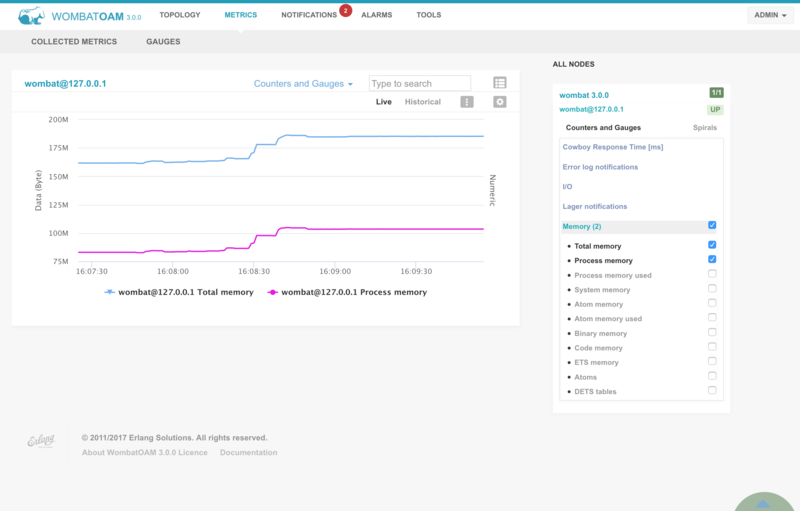 To check whether Wombat is actually running, check whether you can access the WombatOAM web dashboard on http://localhost:8080. 1. Select the Topology tab and click on the + button. Click Done and you will be redirected to your node’s frontpage. From here, you have an overview of the metrics and active alarms associated with your node. 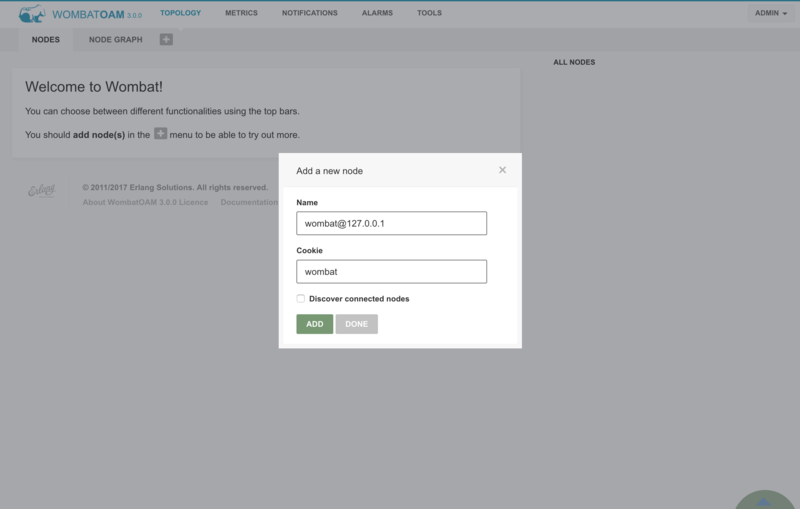 Click the Metrics tab, select the node, and then select a metric. For example, click Memory → Process memory. You should see the measurements made on that node. Interested in seeing how WombatOAM can give you full visability of your Erlang or Elixir system? Get a 45 day free trial, on us!